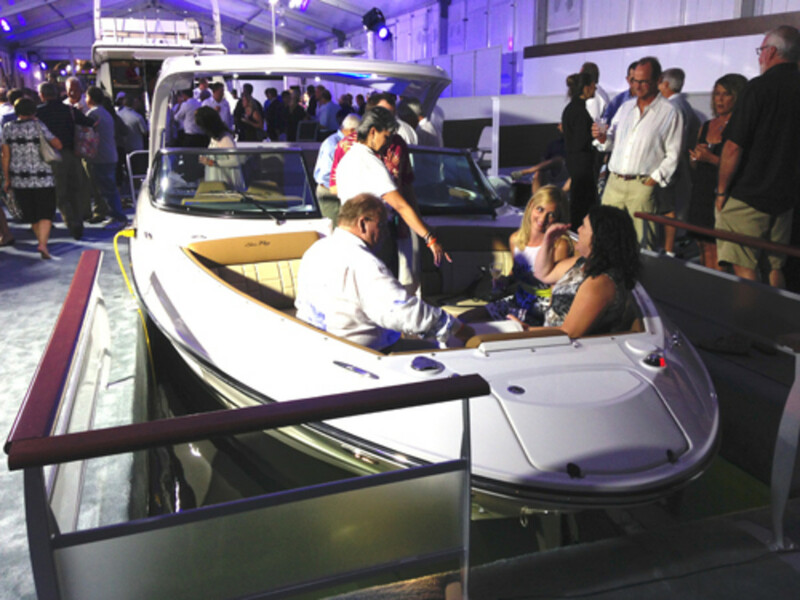 FORT LAUDERDALE — Sea Ray, in an extravagant indoor on-water display, showcased its new 510 Flybridge motoryacht and 350 SLX sportboat. Music, strobe lights and fireworks filled the air. “The flybridge buyers are looking for more interior accommodations and love the view you get on the flybridge,” Berman said.